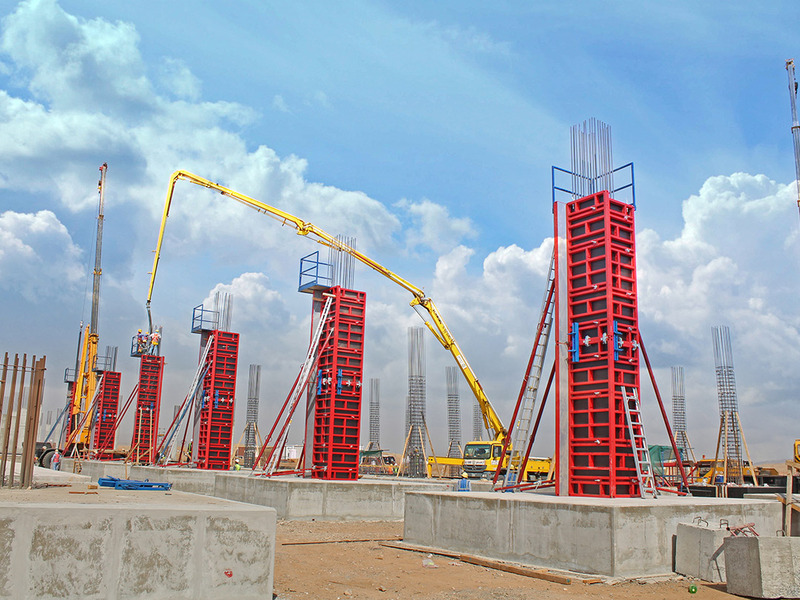 -	The 5 cm grid in anchoring in columnform enables forming different sizes of columns. It has a cross section up to 105*105 cm. -	Moreover, combining panels with heights 3.30 m, 2,40, 1.2 m, and 0.60 m could enable achieving different heights. -	The ingenious system grid size gives optimum adaptability for different construction site situations. -	Finally, the superb powder coating finishing quality provides the system with a unique protection, good cleaning and as results in a longer life span.